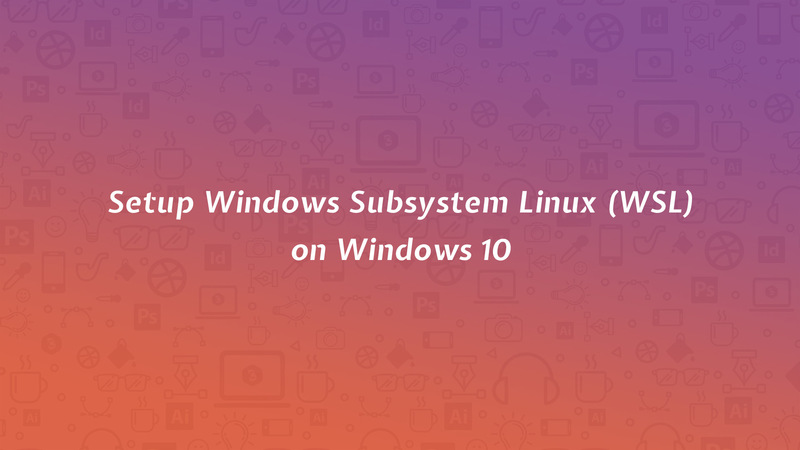 In this article, we will discuss “Setup Windows Subsystem Linux (WSL) on Windows 10”. Windows 10 provides rich features to the end users. Today, I will explain to you, how you can activate the WSL. Windows Subsystem for Linux (WSL) allows us to run Linux on the Windows 10. It’s a wonderful feature, which enables another operating system in your Windows. Means you can work on the Linux Operating System within your window. Before activating the WSL, we need to activate the developer mode in windows. Open Windows settings and click on the Update & Security option. Click on the For Developers in the left sidebar. Then select Developer mode as per the following screenshot. It may take some time to initialize the mode. If prompted then restart the system. Open the Control panel, and select the programs and features option. Then click on the Turn Windows features on or off, and select the Windows Subsystem for Linux in the Windows Features list and click ok.
Open PowerShell as administrator and execute the following command. After that restart your system when prompted. Open the Microsoft Store and search for Linux. It takes some time to download the selected Linux distribution as per your internet speed. After successful download, you need to launch the Ubuntu. Then you will see the Installing message on the screen. Here you need to create Unix username and password. You need these credentials in root commands such as sudo, su and etc. Our Ubuntu terminal is ready for use now. You can use as normal Linux terminal.